Salvatore Ferragamo Signorina Eleganza - 50ml EDP - $102, 100ml EDP - $140, 200ml Body Lotion - $59 - a floriental chypre that celebrates feminine grace and seduction with top notes of grapefruit flesh and pear flesh; heart notes of almond powder and asmanthus absolute; and base notes of patchouli heart and white leather accord. The fruity and warm notes makes this a very appealing fragrance and I love how elegant yet girly the bottle is! Available now at Holt Renfrew, Hudson's Bay, Ogilvy, Murale and Sephora. 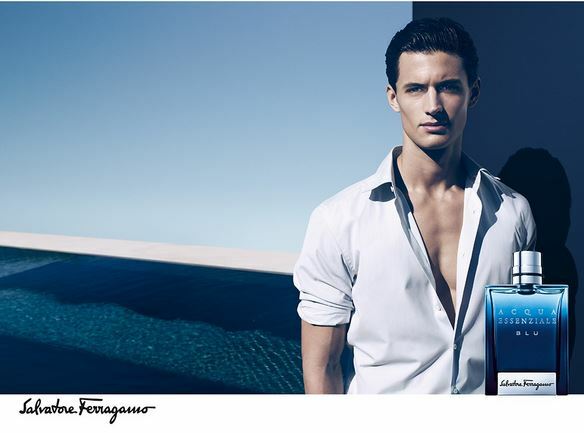 Salvatore Ferragamo Acqua Essenziale Blu - 50ml EDT - $75, 100ml EDT - $97, 200ml Shower Gel - $40- inspired by the natural impulse of water this fougere oriental scent has top notes of green cardamom, Calabrian bergamot, lemon and paradisone; heart notes of cedarwood atlas, lavander, cascalone and cypriol; and base notes of bezoin, tonka bean, patchouli and ambrox. If you like to (or your man to) smell fresh, then you are going to love this scent - I also like how masculine the bottle is and the blue tones of it really give the illusion of tropical water. Available in April at Hudson's Bay and in May at Holt Renfrew, Ogilvy, Sephora and Murale. Perfect, glowing skin in 2 easy steps from Estee Lauder and Silk'n! Add some LUSH to your bath for Easter 2014! Spa Week returns to Canada April 21st-27th! GOSH Lip Lacquer - with swatches! Nicole by OPI Roughles - with swatches! Nail art made easy with Sally Hansen and Sephora! Win a 3-step beauty routine from Yves Rocher! Crazy for CC - Neutrogena Healthy Skin CC Cream! Trind Caring Color Nail Lacquer - with swatches!